Chronic Lymphocytic Leukemia (CLL) is a malignant disease caused by uncontrolled proliferation of B-cells, a type of white blood cells. The high proliferation rate is due to blockage of the cells’ self destruction mechanism called apoptosis, which allows the cells to multiply in high levels. A group of scientists from Israel and the USA, headed by Professor Idit Shachar from the Weizmann Institute in Israel, found a way to overcome this blockage and allow the B-cells to achieve apoptosis. This new development may allow us to discontinue the proliferation of CLL in the body, and is now pending clinical trials. 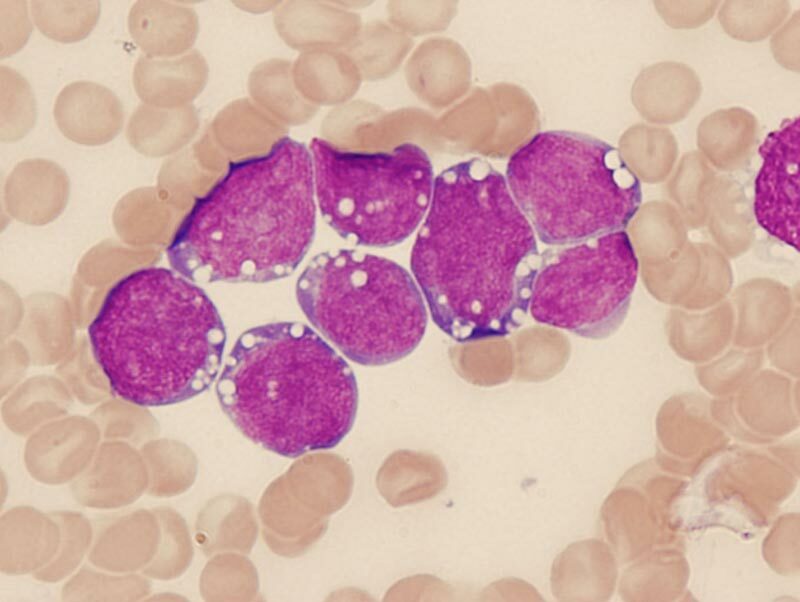 Like other kinds of leukemia, CLL is a cancer in the white blood cells. CLL affects a particular type of white blood cells: B-cells. Normally, the B-cells fight infections, but the cancerous B-cells lose this ability due to DNA mutations. Moreover, the mutations cause these B-cells to proliferate without control and they crowd out the healthy B-cells. The majority of CLL patients are males, and it is considered to be a disease of the elderly since it is rarely encountered in individuals under the age of 40. The disease is treated according to its severity in a specific patient, mainly by chemotherapy. This scientific achievement introduces a new therapeutic pathway. The research suggests that a receptor protein located on the B-cells’ membrane is responsible for their ‘immortality’ (the subjugation of their apoptosis). 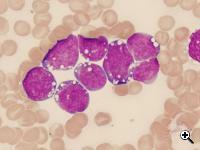 The protein, named CD74, was previously found to be more active in CLL B-cells than in normal B-cells. The scientists hypothesized that it regulates the survival of the B-cells and that by having large amounts of it the cells eventually become ‘immortal’. Another fact that supports this hypothesis is that the CD74 needs to bind a small protein in order to activate its “lifesaving” mechanism, and this other protein was also found in high levels in CLL B-cells. The scientists assumed that blocking the binding of these two proteins will prevent them from activating the anti-apoptotic mechanism. More information can be found on the Weizmann Institute website.